Pagak/Juba, March 10, 2017 (SSNA) — The Sudan People’s Liberation Army-In Opposition (SPLA-IO) said it has captured alive two Indian oil Engineers in and around a new oil field located in Guelguk North in Upper Nile after a fierce fighting between rebel and government forces. 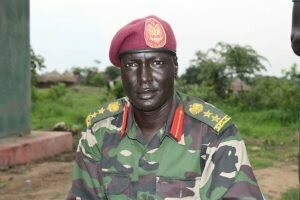 The SPLA-IO spokesman Col. William Gatjiath Deng said in a statement that the captured Indian Engineers who are identified as Ambross Edward and Muggy Vijaya Boopathy refused to respect repeated warnings from the military command of the armed opposition, saying the Engineers work for South Sudanese government. “Despite repeated warnings from the SPLA-IO leadership, two Indians engineers namely Mr. Ambross Edward and Mr. Muggy Vijaya Boopathy working for the Juba regime were yesterday Thursday, March 09, 2017 captured alive during the fighting between the gallant SPLA-IO forces, and the Juba regime soldiers and their Sudanese rebel allies in and around the new oil site at Guelguk north, Adar,” Col. Deng said. A senior government official told the South Sudan News Agency (SSNA) in January that India and South Sudan secretly resumed oil talks and that discussions began in November last year. The armed opposition spokesman stated in the statement that Edward and Boopathy were captured after rebel forces under the command of Major General Khor Chuol Giet and Brigadier General Gatbel Kuach “disintegrated, defeated, and killed” at least thirty-three government soldiers. Col. Deng also proclaimed the SPLA-IO defeated and inflicted heavy losses on government troops and Sudanese allies namely Justice and Equality Movement (JEM) and SPLM-North. The rebel spokesman further asserted that the armed opposition took control of the area and warned that unspecified consequences if Juba and its Sudanese allies continue attacking the SPLA-IO positions. Deng urges foreign oil workers to think before they set foot in any oil production site and calls on oil companies to value the lives of their employees. Oh dear they thought THACKING was a MIRACLE. The strange thing here is that rebels managed to come to oil field and took two Indian nationals who are engineer and operators. Those two Indian worker of patrol my own comments on him to make a sign of the stupid presidence. And show to the world media after the sign in thier faces like dinka and kill him, so they are worker of kiir . I appeal to leave those engineers as they come to earn their children, as rabbles are fighting for same. I am with Luka on this as those engineers are just workers who have gone there to earn money for their family. Please leave those engineers.